Monday- I didn’t get up and go this morning…but I should have. 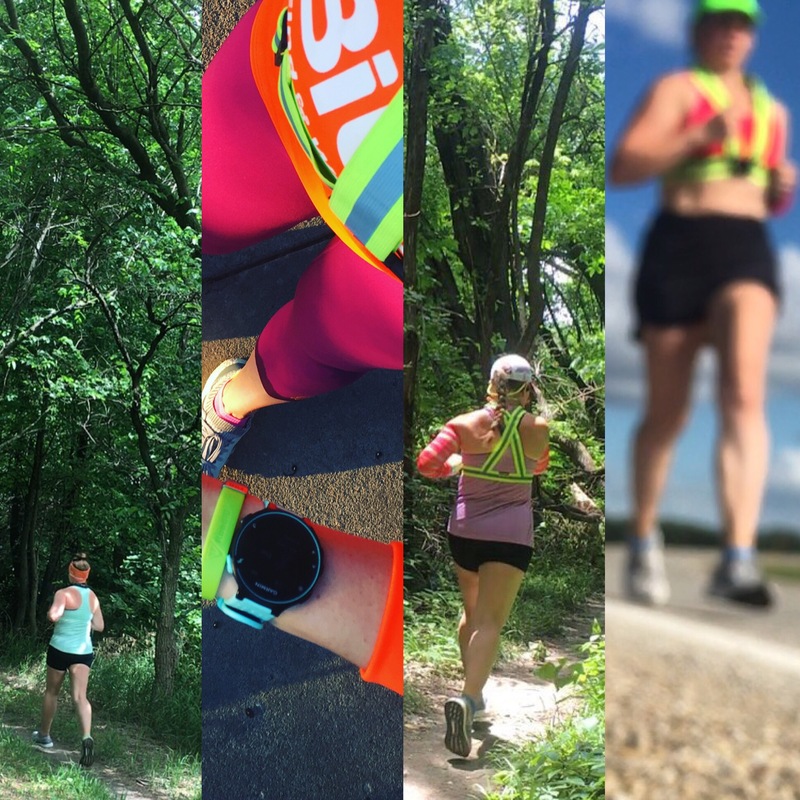 Tuesday- I am loving some major trail time – while the trail is only 1.5 or so miles long (running at least a mile to and from), it is the best part of my day! Between dodging storms and taking in all of the greenness, the trails are my happy place and a place for me to just let go of my stresses. Sometimes the trail stresses me out – like when I see a snake or I trip on a pebble… ( I am good at avoiding the big “trippers”…it’s the little ones that get me). Wednesday- A morning run was necessary this morning because 1) I agreed to run with my running buddy (her first run post 1st half marathon last weekend), and 2) the weather was PERFECT for a run! While there was a chill in the air, it was amazing considering the HEAT that is coming soon enough! Thursday- And…the heat is on!! I headed out to the park for a couple miles before picking up little man – and boy was it hot! Saturday- While I woke up a little late, I wasn’t beyond my normal long run time. I checked the weather and…yuck, a big line of storms coming our way! I decided to get out and get what mileage I could…which turns out was a mile…ha! Little man went about through the morning routine…and we were out for donuts and coffee when I got a call that my brother-in-law was in town. He wanted to see if he could come by and hang out with little man for a little while… Sounds like magic to my legs! We hung out around town a little while, but around nap time, we were home and the BIL came by to relax for a bit : ) So I headed out for a run! When I got home, they bother were watching TV and my long run was complete! Next weekend is the big Hospital Hill half marathon race! While my priorities have changed for the weekend, I look forward to taking in the course, the people, and the food! There is still A LITTLE time left to register!! Online registration closes TOMORROW!! Register TODAY and use the code “BIBRAVE” at checkout for 10% off your registration (not valid on the family 5K pricing). Your trail pics are so neat! I’d love have a trail like that closeby! Looks like a good week! I love the trails too. Actually starting to enjoy them more than road running. Nice week! I haven’t been on the trails as much as I would like lately because it’s been raining SO MUCH our trails are almost impassable. Yea!! I hear ya…the trails have been mushy lately…no fun.